While healthy eating and regularly exercise are essential for weight loss and general wellbeing, sometimes your skin and tissue needs a helping hand. Stubborn fat deposits and sagging skin can persist, even with regular and vigorous exercise regimes. If this is the case, you should consider a body rejuvenation treatment. Our Laser Lipo treatment uses the latest in laser lipolysis, so you can achieve inch loss and body contouring with no pain, needles or down time. The treatment can be performed on all skin types and body areas where unwanted fat is stored, such as such as chin, upper arms, abdomen or thighs. During the treatment, we use low levels of visible red laser light to create a safe and painless bio-stimulation effect in the targeted fat tissue. This stimulates the body into fatty acid release (a natural response where the body uses up stored energy reserves). Our Laser Lipo treatment is therefore completely safe and does not cause damage to skin, blood vessels or peripheral nerves. Post treatment you can return to normal activity immediately. In fact, a period of exercise post treatment is recommended to complete metabolism and to eliminate freed fatty acids from the body. While each person is different, many people can achieve a 1–4cm loss in abdomen circumference. To achieve this, we generally recommend a course of 10 treatments over 5 weeks with 2 treatments per week. Please note that actual results may vary from person to person and are not guaranteed. This rejuvenation treatment is designed to reduce cellulite, improve body shape and reduce unwanted fat in areas such as the face and neck, upper arms, abdomen, thighs, buttocks and hips. 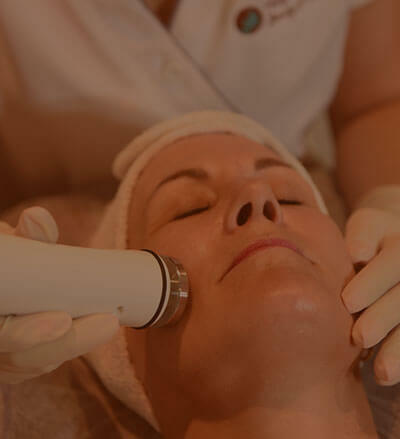 For best results, we recommend anywhere between 8 and 12 treatment sessions (with each session taking between 20 and 45 minutes depending on the size and number of areas you wish to have treated). Please note that the number of sessions needed to see noticeable changes varies from person to person. Whether you’re looking Laser Lipo or Cavitation and Skin Tightening, our body rejuvenation treatments can help you eliminate stubborn fat deposits, tighten saggy skin and sculpt your body to give you the figure you’ve always dreamed of. To book in for a treatment, call our friendly staff or book an appointment online.